Lewis Rice member Robert J. 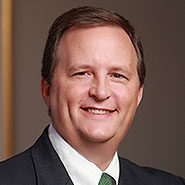 Will published an article in Pretrial Practice & Discovery Section of Litigation stipulating five tips essential for a more effective motion practice. With an ever-decreasing number of civil cases actually reaching trial (much less a jury trial), motion practice has become an increasingly vital part of the litigation process, particularly in federal courts. Because the stakes are so high and the potential expense so great, and because judicial workloads have never been heavier, effective motion practice should be at the forefront of the minds of judges and lawyers alike. To be an effective advocate for your client, you must have a solid command of this crucial component of pretrial practice.